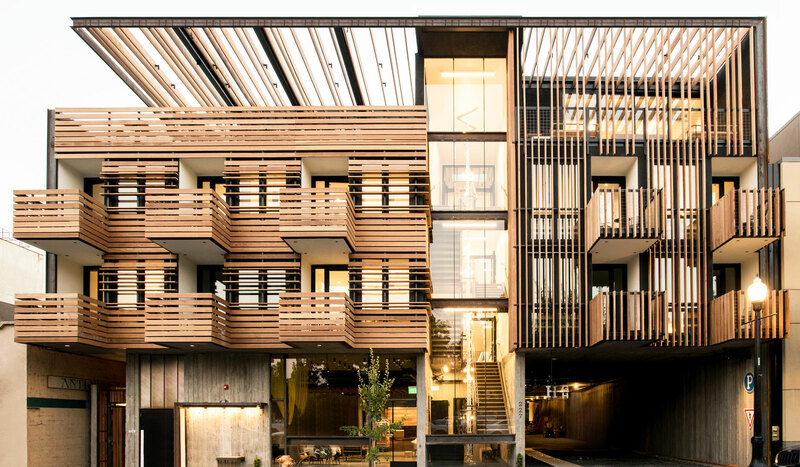 Artistic design and sustainability give new meaning to the term “guest house” in the heart of Sonoma. 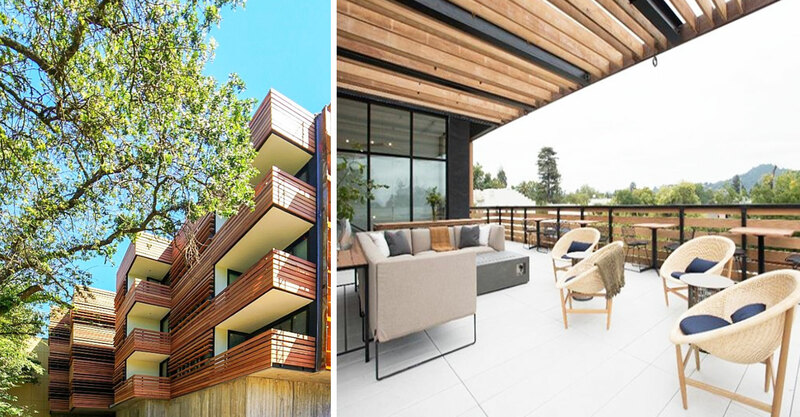 Set amidst the uber-charming Sonoma town of Healdsburg, Harmon Guest House radiates a cool, contemporary hotel design with its reclaimed redwood exterior paneling and beautifully designed rooftop terrace overlooking Sonoma’s rolling hills. 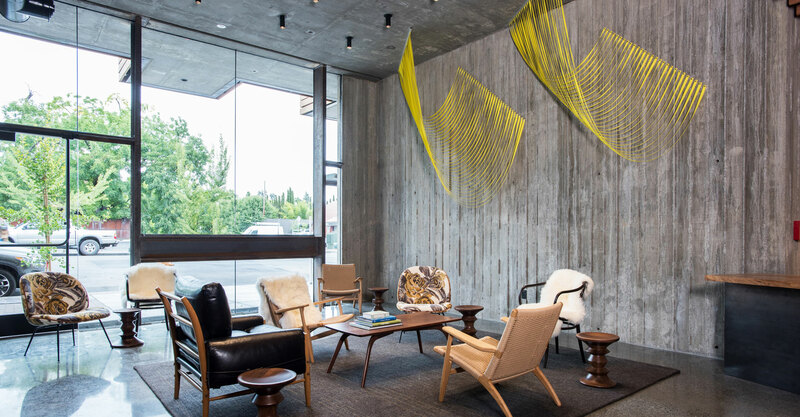 The Harmon is a work of art both inside and out, with locally sourced interior art like 3-D sculptures, while guests are welcomed at the check-in desk made from the wood of a fallen eucalyptus tree. 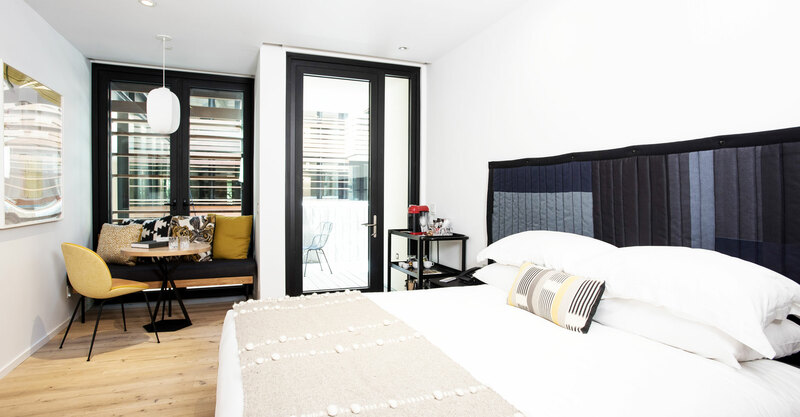 Harmon’s 39 guestrooms are equally as creative and thoughtful, with features like original art and unique amenities such as a Bluetooth sound system and bar cart stocked with local craft spirits. 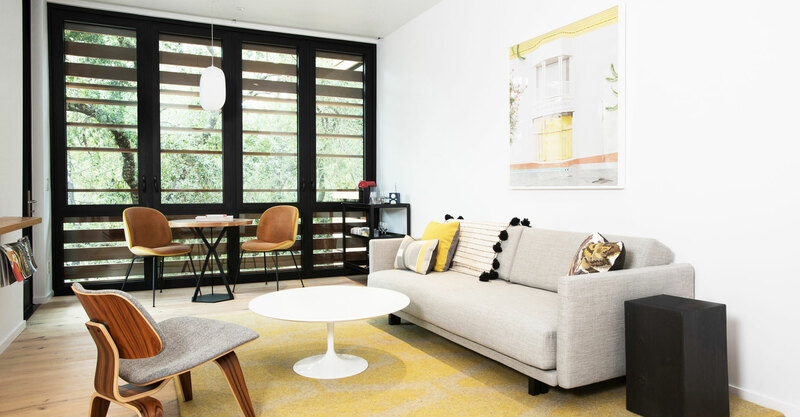 What's more, all rooms have balconies or patios with views of the Creekside Deck, mountains or interior courtyard. 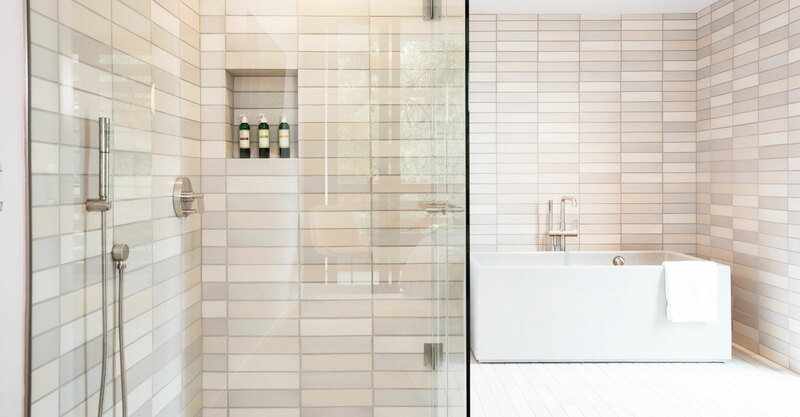 Now this is what we call a wine country retreat. 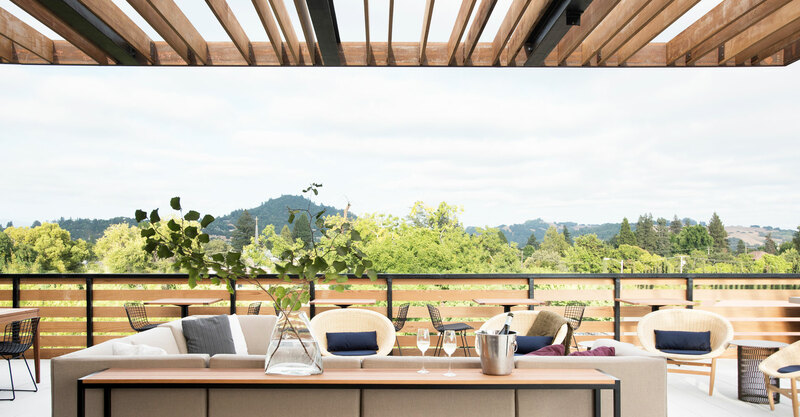 Harmon's primary food and drink option is The Rooftop, the hotel’s terrace overlooking Fitch Mountain, the Sonoma hills and downtown Healdsburg. 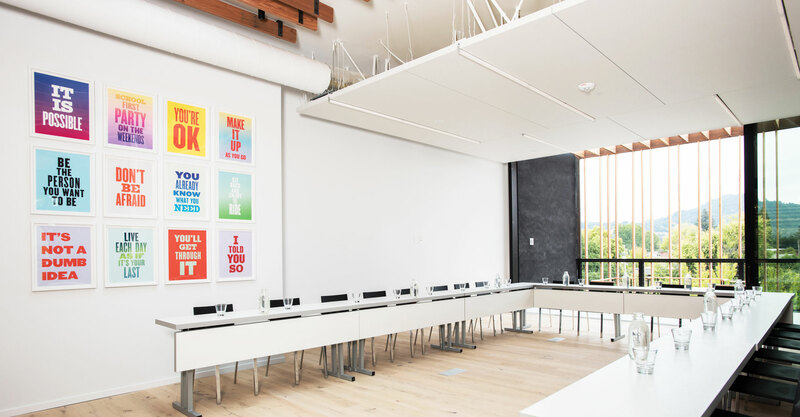 Additionally, Harmon’s sister hotel, h2hotel, is on the same block, featuring Spoonbar, a longtime Healdsburg favorite characterized by a fresh market-driven menu of contemporary American cuisine. Needless to say, surrounded by such a bounty of great food and great wine, you won’t go hungry or thirsty. 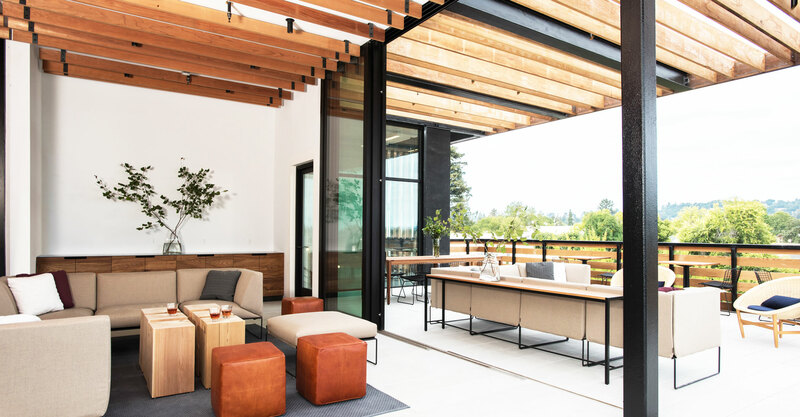 The Rooftop welcomes guests with its sleek design and both indoor and outdoor seating options perched above downtown Healdsburg. Enjoy one of their custom craft cocktails or a glass of bubbles around the fire pit, and try some of their small bites like a selection of cheeses or Louie salad. 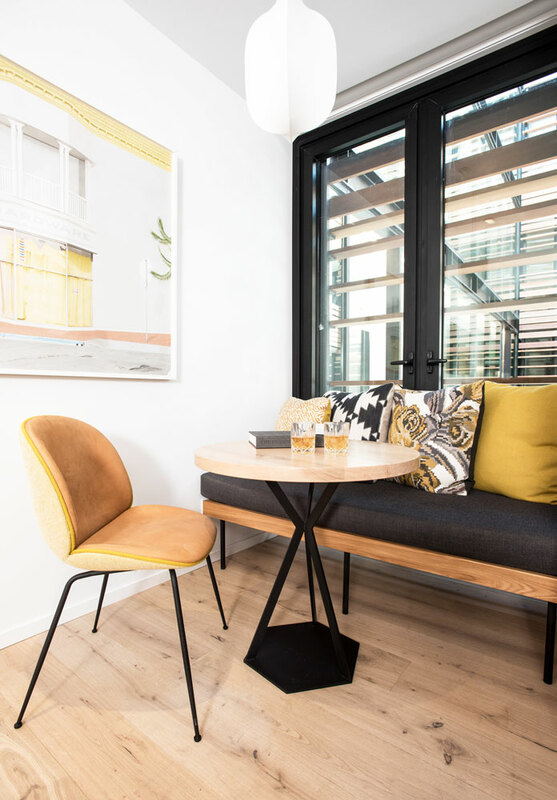 A short walk from Harmon Guest House, Spoonbar is the spot, whether it’s for daily happy hour, named one of the best happy hours in the area, or for a romantic, locally-sourced dinner from Chef Matt D’Ambrosi. Additionally, a complimentary chef's breakfast is served daily here for Harmon guests. Unwind wine country style, by enjoying a glass of wine poolside or by taking a dip in Harmon Guest House's solar-heated pool. Zen out and get your "om" on during complimentary yoga sessions on Sundays at Harmon Guest House. Balance your mental workout with a physical workout by taking advantage of the free three-hour bike rentals from Harmon's fleet of bicycles. Unique to Harmon Guest House, Waterbars are located on every floor, offering free sparkling and flat purified water. 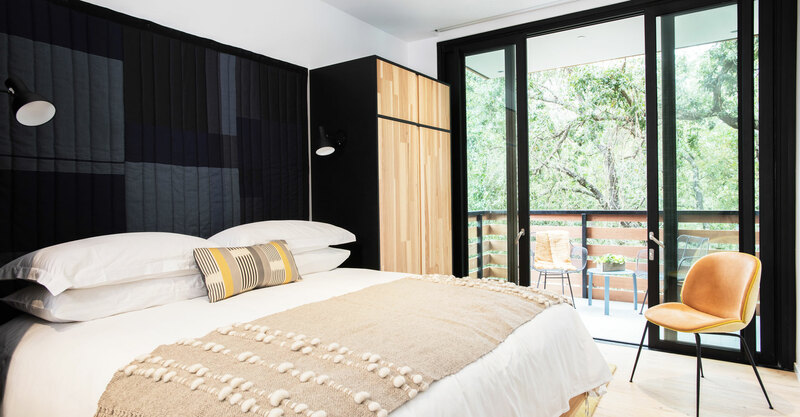 Harmon’s primary guestrooms consist of king and double queen rooms, all of which are thoughtfully decorated with locally-made felt rugs, original art and cool features like balconies and patios attached to every room and a bar cart with local spirits and mixers. Other amenities include a 55-inch Bluetooth TV, complimentary sparkling and flat water, local treats, free Wi-Fi, and locally-produced bath amenities. Enjoy a wide variety of seasonal salads and vegetable small plates at Chalkboard, or go big with a tasting of all of their house-made pastas. Complimentary parking provided via valet-served parking lifts.